While November signals the end of a year, Porsche has had an action-packed month filled with excitement surrounding two major events. November brought the debut of the new Panamera at the LA Auto show and the exciting announcement of the second Porsche Experience Center (PEC LA). The Porsche Experience Center (PEC LA) is the West Coast destination for the ultimate Porsche experience. A $60 million dollar Porsche playground provides plenty of opportunities for enthusiasts to indulge in Porsche sports cars. “Visitors to the PEC LA can enjoy instructor-led, 90-minute experiences on the driver development track in Porsche sports cars. The eight training modules include two handling circuits, an ice hill, an off-road course, a dynamics area, a launch control and acceleration straight, as well as a low friction handling circuit, low friction circle, and hydraulic kick-plate.”, as the press release states. 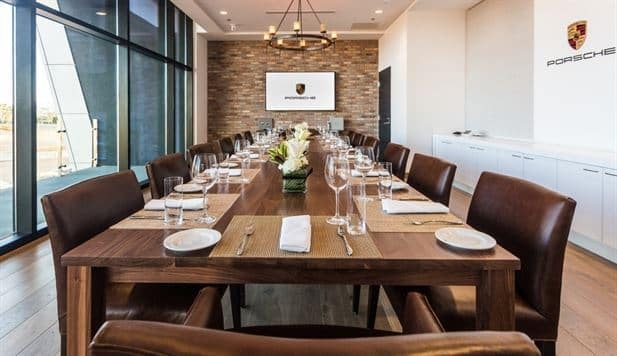 The magic continues with a first-class dining experience at the aptly named Restaurant 917 and a rotating display of classic vehicles for a special brand experience. As the industry’s leading automotive complex it’s an unforgettable experience. 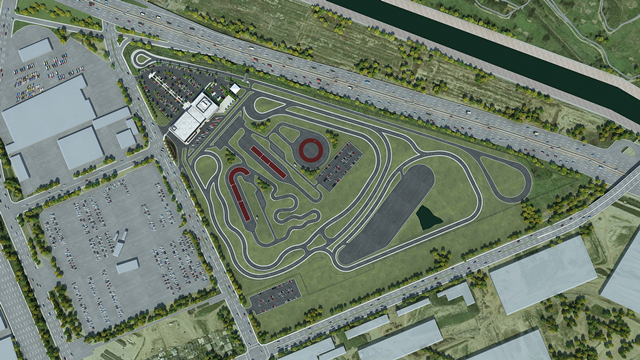 Located roughly 30 minutes south of the Atlanta Perimeter location is the Porsche Experience Center Atlanta. The PEC Atlanta location opened in 2015 and is also home to the German manufacturers’ US headquarters. The 27-acre Atlanta playground boasts an equally exciting Porsche playground. Visitors can enjoy a thrilling driving experience, dine at Restaurant 356 or race your favorite Porsche on the Autobahn in the simulator lab. If you need a tune up or need anything before your trip to the Atlanta Experience Center be sure to stop in our Atlanta Perimeter location. 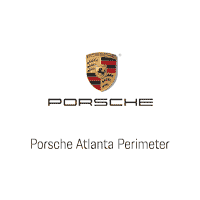 Guests interested in visiting or booking a driving experience at the Atlanta facility, may find additional information here and be sure to browse the Atlanta Perimeter inventory for your favorite Porsche.